Mothers day is around the corner and a new limited release movie is landing early to remind many of us about those unique relationships with the mothers in our lives. 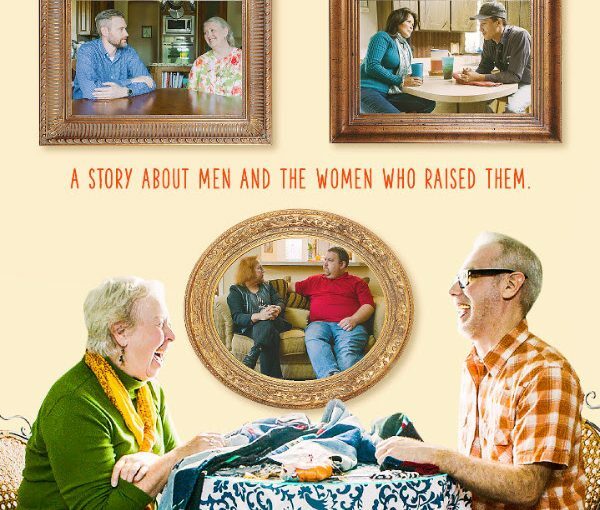 Mom & Me joins Joe Cristiano in his pursuit for motherly stories from Oklahoma, deemed one of the manliest states in the US. It’s a mixed series of emotion, hearing tales of childhood discipline, discovering later in life friendships and growth and more. Just over an hour in clips and stories the experiences sweep across the board, while generally upbeat the tales do have darker periods which adds a unique dose of honesty to the film. While there are segments of love and respect from many, there are also tales of frustration and rebellion and the realizations that eventually came from those conflicts which brought about new appreciation and growth. Young or old there’s an interesting crossover of experiences throughout Wardrop’s film and the cameos that highlight the interactions between those callers and their mothers. Not everyone has a happy ending, some had bouts of violence, drugs and other life struggles that they faced but the unique theme is, in the end, their mothers persevered and came back when their kids still needed them most and those moments etched themselves into the minds of those men. Overall Mom & Me brings viewers back to their own memories with their mom or significant parent in their life. The reflections bring smiles and pull a tear or two out while listening to stories of care, persistence, struggle and forgiveness. For Oklahoma listener’s there is little doubt about the impact and position their mothers had in their lives and how it’s shaped them after realizing the power the relationship brought to their lives. It’s hard to say it’s specifically a feel good piece, there are so many windows for viewers to reflect on the past, the present and the future and where they stand themselves. The filming highlights multiple dynamics of those relationships told while cutting itself short enough to not overstay its welcome. As a VOD title or a casual film to catch it would deliver a worthwhile experience and that’s what makes it stand out given the timing of the release, allowing viewers to take a moment to let it all soak in after it’s all said and done.